I teach theory, harmony, composition, arranging, orchestration, and the sibelius and dorico music notation softwares. Basically, the areas I’ve worked professionally in for over a decade. I hold Master of Music, Bachelor of Music (honours) and Graduate Diploma in Teaching degrees. I’ve taught at the New Zealand School of Music, University of Otago, University of Auckland, Music and Audio Institute of NZ, UNITEC, at secondary schools and in my private studio for 16 years. 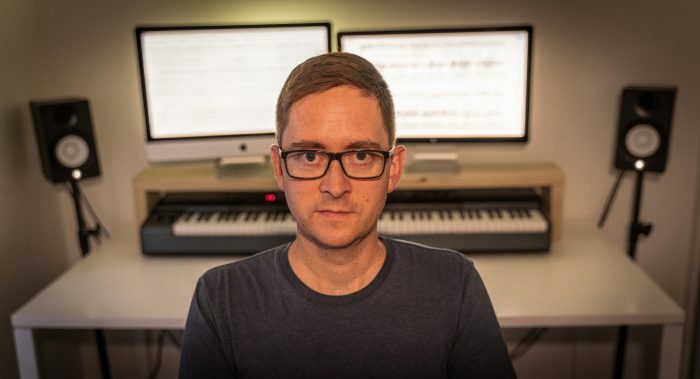 Ryan works regularly with all of New Zealand’s leading orchestras, including the New Zealand Symphony Orchestra and Auckland Philharmonia. He has produced music for ensembles such as the London Metropolitan Orchestra, Budapest Scoring Orchestra, Danish National Opera, Dutch Radio Chamber Orchestra and Sydney Symphony Orchestra; for composers such as Victoria Kelly, Rhian Sheehan, Wlad Mahulets and Anthony Ritchie; publishers such as G. Schirmer and Massey University Press; events such as the Rugby World Cup and Pan-Arab Games; on movies such as The Hobbit ‘An Unexpected Journey’ and ‘The Desolation of Smaug’; and has prepared music for the music stands at numerous scoring stages including Abbey Road. I work with all ability levels, from beginners, to secondary and tertiary students, to educators and professionals. Everyone has their own unique background, with varied aspirations and goals, so I implement a study plan crafted specifically for you. Lessons can be at my studio, or based online (via Skype, Messenger or Hangouts). I have a system for online lessons that combines video chat, shared lesson notes and resources to create an effective learning space. I have students throughout New Zealand. Weekly, fortnightly or periodic lessons available, as well as mentoring, workshops, professional development and consulting. If you are a secondary student, take comfort in that I am a qualified secondary music teacher, so I know NCEA well and what you need to do to get great results.